Sheree Short and I skipped Mrs.Cutright's class and were wandering around campus. A guy from the Kernersville News was at school that day, started talking to us, took our picture - and we ended up on the front page of the Kernersville News! Willie Nelson several times- Different times when he came to the Greensboro Coliseum to perform, we'd go up to his motel room, ,then when they left the hotel on their bus, we'd follow behind them and get through all the traffic going to the Coliseum. Then we'd get to sit onstage while they performed and then go back stage afterwards. I was a real groupie! Cheryl Reid Wray posted a message. Hi Ronda! It's so good to hear from you! It's been a long time, girl! Hope things are well with you and your family! Cheryl Reid Wray has a birthday today. Marilyn Sewell Elmore posted a message on Cheryl Reid's Profile. 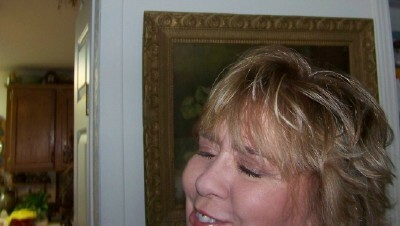 Cheryl Reid Wray added a comment on Profile. Wishing you a wonderful birthday, Catrina!! Hope you're doing well! Cheryl Reid Wray has left an In Memory comment for Profile.